Don and Kathy Waggoner look forward to volunteering at their 20th “Have a Heart, Do Your Part” radiothon from Feb. 14-16. Kathy and Don Waggoner are looking forward to Valentine’s Day weekend this year, as they do every year, because February 14 marks the kickoff of the hospital’s 20th “Have a Heart, Do Your Part” radiothon. Parents to 7 children and 13 grandchildren, they haven’t missed volunteering at a radiothon since its inception. 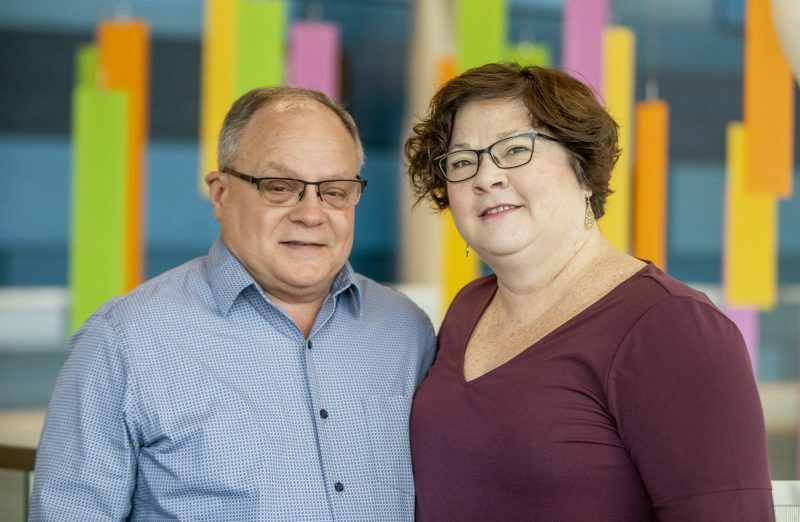 Akron Children’s holds a special place in the couple’s heart, not only because Kathy works here as a speech aide, but it’s also a place that cared for their son, Jason, for 34 years. Jason was born with a rare genetic disorder called Sanfilippo syndrome that affects his central nervous system. Progressive in nature, the life expectancy for those with the disease is about 16 years. Jason, now 36, has already beaten those odds. His parents deserve the lion’s share of the credit for Jason’s outcome, but they are quick to acknowledge all the specialists from Rehabilitative Services to neurology to urology at Akron Children’s who were beside them along the way. Once able to speak and walk, the disease has robbed Jason of those abilities. For the past 8 years he has resided at Hattie Larlham in Mantua. Jason, who resides at Hattie Larlham in Mantua, looks forward to visits from his extended family which includes 6 siblings and 13 nieces and nephews. Back when radiothon began in 1999, the rehabilitation department ran the phone banks and that’s how Kathy and Don first became involved. “I didn’t really give Don a choice, I came home one day and said, ‘Guess what we’re doing?’” Kathy joked. Over 20 years of volunteering, their duties have evolved from anything to everything. And, radiothon days are long – beginning at 6 a.m. and running until 7 p.m. Kathy and Don are there the entire time. “We train volunteers, man the registration, merchandise, raffle and craft tables when necessary, run errands, greet people, collect money from the change bandits, bundle things, triage people and do whatever else is needed,” said Don. 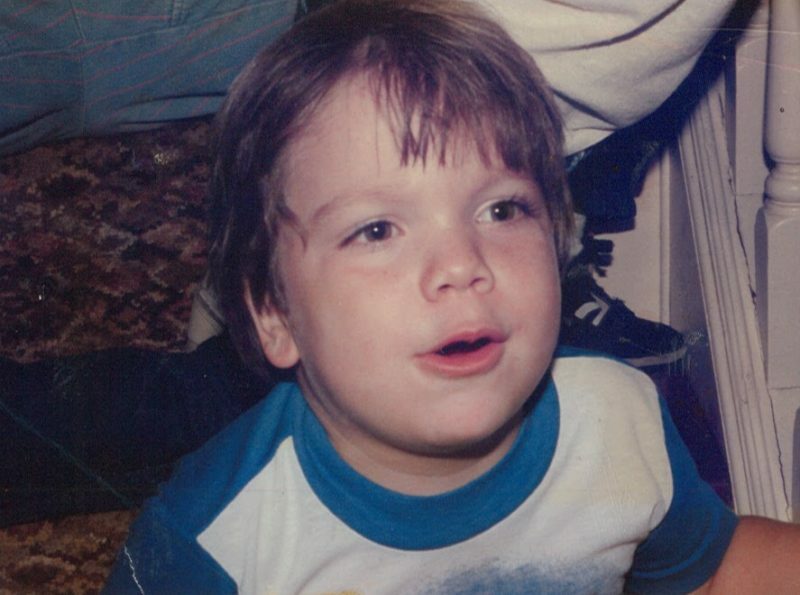 Jason, at age 3, was once able to walk, talk and write. Sanfilippo syndrome, a rare, genetic syndrome, that affects his central nervous system has slowly robbed him of those abilities. “One year Jason was one of the patients featured on-air and we went into the station and were interviewed by Keith Kennedy (radiothon host) and talked about Jason’s story and our experiences with the hospital,” said Kathy. These pre-taped segments, often called miracle stories, highlight the experiences of certain patients, but as Don points out, everyone’s miracle is different. “Each miracle has a different result,” Don says. “Ours was the phenomenal care and support we received from the hospital. 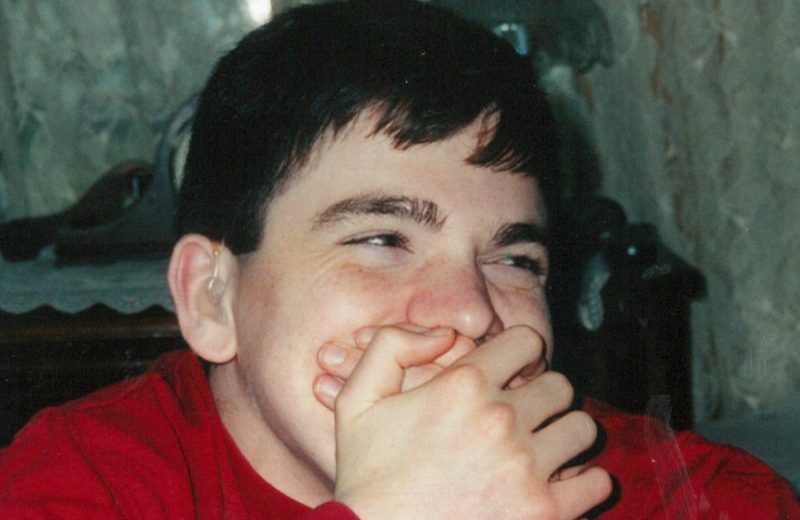 Jason, pictured here at age 17, has already outlived the life expectancy for a person with Sanfilippo syndrome. His parents partially credit that to the outstanding care he received at Akron Children’s. Kathy sees these same miracle stories every day in her department and those patients are what drive her to take vacation days, so she is able to volunteer all 3 days of radiothon. Through the years, they each have their own special memories of radiothon. For Kathy it was the “donut” dare. “This was back when Matt Patrick was the host and someone pledged a large amount of money for Matt and his co-host to eat the biggest donut I have ever seen,” she reminisced. For Don, a retired middle school teacher, it was doing the chicken dance on air with his students. “My students pledged money for me to do the chicken dance and they all came down and did it with me,” he said. Don says radiothon is the perfect venue for someone to participate and feel a sense of ownership no matter their age or the size of their donation. For more information on how you can donate and get involved in the “Have a Heart, Do Your Part” radiothon, visit akronchildrens.org/radiothon. Follow on social media with the hashtag #KDDRadiothon.